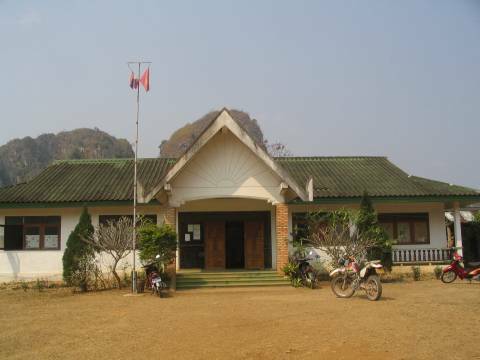 Often known as the birthplace of Lao PDR, Vieng Xai is home to the former Pathet Lao headquarters. 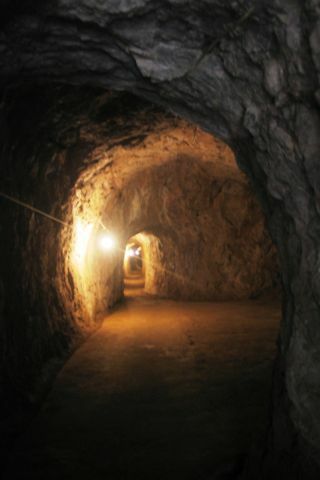 In Vieng Xai, the Lao communist movement built an extensive network of caves to shelter themselves from the constant bombings during the Second Indochina War (aka Vietnam War). For the best part of the late 1960s and early 1970s, the hidden city of caves were homes to the people. Visiting the caves, with some artifacts still on display, offered a great insight of their lives during the period of uncertainty. I left Xam Neua at 730am for Vieng Xai, a short 30km away. Route 6 was under repair and the ride was slow. Along the way, I tried to locate the Tat Nam Neua waterfall. But I was unable to find it with Lonely Planet’s directions. I could hear the water gushing but just couldn’t find the trail to a view of the waterfall. I moved on and reached the Kaysone Memorial Cave Tour Office in Vieng Xai at 855am, just in time for the 9am tour to the Pathet Lao caves. There were an British and an American joining the tour as well. They had crossed the Vietnamese border at Na Maew and Nam Xoi to reach Vieng Xai. The guide suggested that we either walk or take motorcycles for the tour. The first option would take 4 hours while the second option would take half the time. As I wanted to get back to Xam Neau before 12pm to check out from my guesthouse, I suggested riding. Fortunately, the other tourists were easy-going and it was decided I pillion the American lady who’s smaller in size. The English speaking guide took us to the major caves, carefully explaining to us the history behind each cave and its previous occupants. Famous ex-occupants of the caves are Prince Souphanouvong and Kaysone Phomvihan. The former was the figurehead leader of the Pathet Lao and the latter was the Pathet Lao chief who became the prime minister and president of Lao PDR. Most of the caves contain various rooms which included a reception centre, meeting room, bedroom and library. 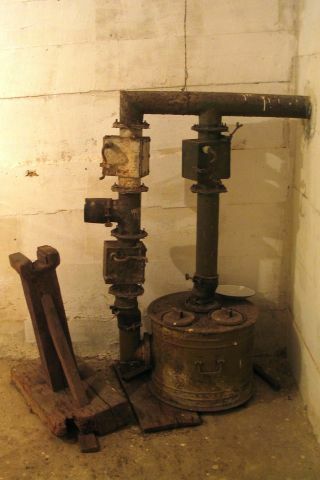 Some caves even housed weaving mills, hospitals and printing presses. 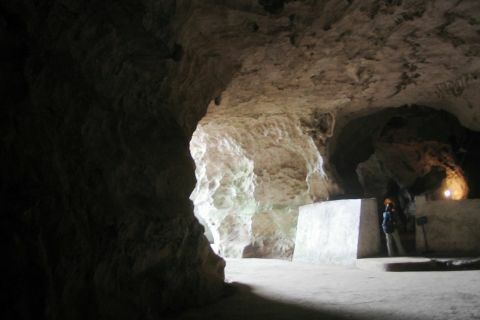 According to the guide, while some of the caves are natural, others were actually created with dynamites. We finished the 30,000 Kips tour at 11am. I headed back to Xam Neua, but not before dropping my bike at a construction area. I had to be helped up by locals. It was a little embarrassing. This entry was posted in Laos, Motorcycle Adventure Vacations and tagged Pathet Lao, Phonsavan, Vieng Xai, Xam Neua by atticus. Bookmark the permalink. Nice to read about the cave visit. Did this a few years back but that was late afternoon so the guide was a bit in a hurry. Will go back soon, hoepfully early next year. Do you have more GPS coordinates – always easy to have to find my way? I do have some GPS coordinates which you might find useful. I have sent the link to your email.